Spent the past two nights here and will leave for Bora Bora this evening. This is a wonderful island. We biked around the north part today and had a great time. Saw blue-eyed eels, archeological ruins, a local artist’s studio. Much more reasonable than Tahiti. Lovely spot. After five wonderful days in Moorea, we came back to Papeéte to get some work done. Like in Trinidad, it’s taken time to make arrangements. Hauling Kijro next Monday morning in order to replace the cutlass bearing and an anode. We caught a rope in the prop going into Hiva Oa, and discovered it messed up the cutlass bearing. The stuffing box is not leaking, so it hasn’t been a problem. However, I’d rather have it fixed no, as there are no haul out facilities in the near future. Ran into Jason and Lara in Moorea and had several pleasant visits. I may eventually do some more photos, but as you all know by know, I’m not much into the camera. We arrived Papeete at 21:00 on June 18 and sailed to Moorea in the rally beginning at 09:30 on June 18. We had a blast. Met up with Jason and Lara on the beach. The events were fun, despite the rain. I managed to husk, open, and grate a coconut in a reasonable amount of time. Also got picked at random to dance with the traditional dancers. Afraid I made a bit of a fool of myself, but it was fun. This island is stunning! Back to Papeete tomorrow to do a few repairs before heading north and west. We arrived late Friday afternoon in Atuona, on Hiva Oa in the Marquesas. The crossing took us just under 23 days. We made good time most of the way, but it was rolly all the way. We are enjoying being on land but will press on to Tahiti, hoping to arrive there around 16 June. We will make two more stops here in the Marquesas (probably Tuahata and Fatu Hiva) before going west again. Had trouble with the sail mail program, which, for some reason would not upload an position reports the past two weeks. Oh, well. We arrived in San Cristobal this morning, and we plan to leave for the Marquesas tomorrow late afternoon. We are shopping, replacing items (such as a engine starting battery), and spending a little time on shore before we head off. 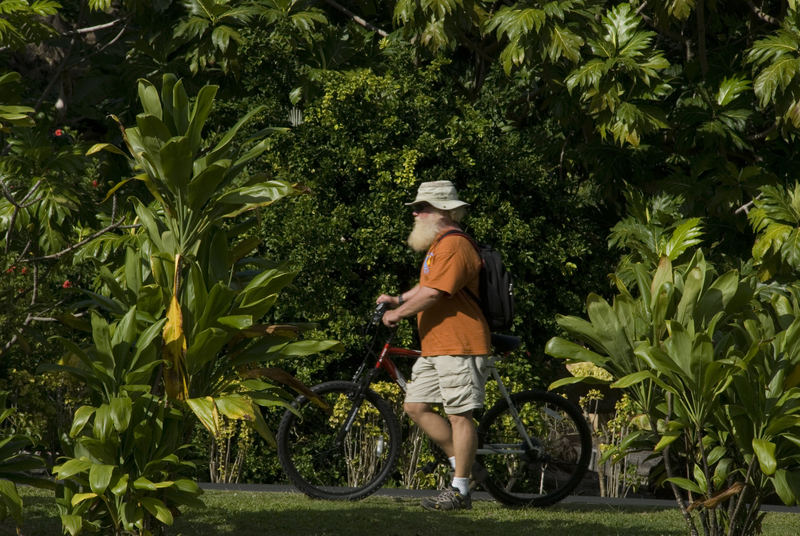 We hope to spend more time in the Marquesas, Tuomotas, and Tahiti this way. I’ve been here twice already. David and Ayack want to spend more time in French Polynesia, so I paid about 50% of what I owed the agent to get us out of the rest of the $ commitment for being here. It took us 11 days to cross from Panama. The winds were flukly and light for several days. The last 48-60 hours were fantastic, as we averaged more than 6 knots, having the Equatorial Current to boost us along in relatively light winds. We had one wild, stormy night, but Kijro hung tough, and we are fine. We are planning to leave Balboa area tomorrow morning, probably stopping for a night or so in Las Perlas, where we need to finish a few little jobs. I installed a salt-water pump in the galley sink today. We have veggies and fruits hanging all over inside…lots of nets. We also have some hanging below the solar panels. Ajack cut a whole banana stalk in two. One part inside, where we hope it will ripen more slowly; the other side is under the solar panels. We’re discussing not stopping at the Galapagos, but doing the nearly 4,000 miles to the Marquesas in one jump. Not sure. We transited the 13th and 14th, spending the night in Gatun Lake. I’m in La Playita de Amador, waiting for the new crew to join Kijro. Ayack (a young Frenchman with lots of sailing experience) and David, an American living in the Turks & Caicos, will join the boat Monday and Tuesday, respectively. A special thanks to Graham Collins for leaving Oginaus in Trinidad and joining me for nearly three weeks to bring Kijro from Curacao here. His help has been invaluable, as his knowledge of sailing and taking care of boats is immense. Kijro is in much, much better condition because he was aboard for a short while. I’m extremely grateful. Picture above shows Kijro (on the left) passing through the Milaflores Lock, at the Pacific end of the canal. Kijro will transit the canal on Tuesday and Wednesday of this coming week. We will spend Tuesday night in Gatun Lake and then finish the trip on Wednesday. 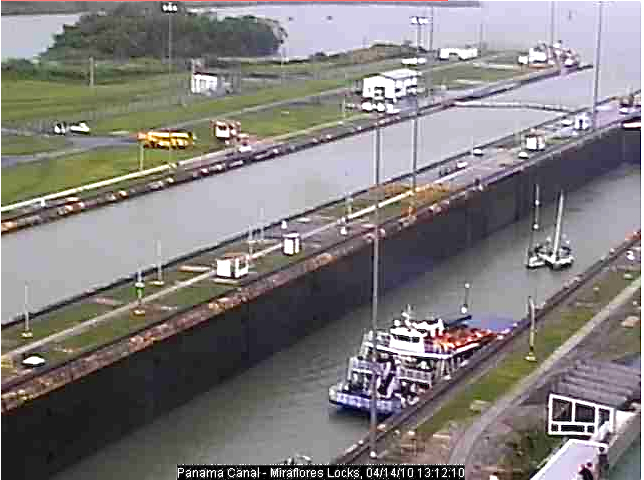 You can follow this, possibly, at the Panama Canal site’s web cams. Not certain of the exact timing, though. The admeasurer was aboard Kijro this morning and approved us for transiting the canal some time this coming week. Once we get through, Graham will return to Trinidad, and I will continue to look for crew to help me make the passage west. After losing crew, I’ve learned to ask some different questions and seem to have two possible crew who are interested. I want everyone on the same page when we set off this time. We’ll see what happens. We arrived here in Colon at 7:00 local time. Trip from Curacao took five and a half days. It was a bumpy rode for nearly all the 700 miles. Waves were over 4 meters at times, and we gusts to nearly 40 knots. Kijro handled the conditions extremely well. We just kept reefing the headsails until we had only a small triangle flying, and we were still doing over 6 knots, surfing down the swells. I need to figure out how to add some pictures. We caught a fine wahoo second night out and have had several lovely meals from it. Sailing through the break wall entry into Limon Bay was a pleasure: the waves stopped! My crew was Graham Collins, a friend from TTSA in Trinidad. He left his boat Ogginoss to help me get here. He’s going to fly back to Trinidad after we transit the Canal; I’m continuing the search for new crew, so I can keep going west.